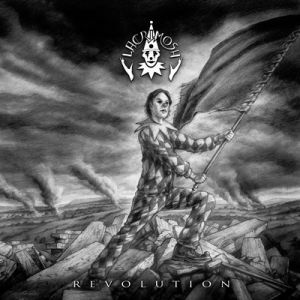 Three years following their last studio release Lacrimosa is back with their 11th studio album Revolution. Next to choirs and orchestras, the album features a stellar line-up of featured artists, such as Mille Petrozza, mastermind of the thrash metal pioneers Kreator and Stefan Schwarzmann, from Accept on drums! This album hypnotizes listeners with its thematic elements. RockRevolt™ Magazine was undeniably fortunate to obtain a few moments with Tilo Wolff, half of the symphonic duo of Lacrimosa. Jase/RR: This has got to be a massive undertaking; not only writing a masterpiece like this, but with the recording and production. How long from when you first started writing lyrics for Revolution did it take to get to the end product? Tilo Wolff: This was really a long process. The first song for this album I wrote back in 2009 while we were touring in China. I woke up in my hotel room in Bejing and was full of the emotions of the past day and night. This right away became music in my heart, mind and ears, and after returning to my studio I started to record this song. Actually, this is what I always intended to do: record the music in the moment when I write it. Only then it is absolutely fresh and pure and I can feel the emotions as strong as they are. This means that the recording process of a Lacrimosa album stretches over a long period of time. This suits me much better than hitting the studio for several weeks to records all songs together. Jase/RR: This album really flows smoothly from one song to the next. It’s obvious even at first listen that you are trying to convey a message. If you will, please share with our readers the theme you were trying to convey with this release. Tilo Wolff: See, I think we are living in a world that is not really suitable for humans with all or needs and desires. We humans created this world and yet we don’t fit into it anymore. This is a tragic joke! We are guided by media that only presents us a version of reality. Most of us are stuck in a job that guarantees daily frustration; after all, we have to fight against our own species when it comes down to it. We hurt or disobey each other. No-one out there does this harm to us. It is ourselves! And therefore I think we should stop complaining and start working on a better world. And each and everyone can start within their own surrounding. And this is what this album is about. Tilo Wolff: Music is like a language; the better you learn to speak the language the more you can express and the more fun it is talking. That’s the same with music. From album to album, I have the feeling that I know the language (music) better and can express my emotions. Jase/RR: Many fans don’t know that you started your own record label “Hall of Sermon” as a way to not be dependent on record companies. That obviously allowed you more creative control over your music over the years. Tell us a bit about how you came to that decision. Also, did you sign other bands to the label? Tilo Wolff: I came to this decision right after sending out a first demo tape to several labels. I got back contract offers in which the labels would have had the rights to talk in my music. Well, nowadays I know that this is common and only a very few artists can write and record their music the way they want it, but back then I was shocked. So I started my own label basically not knowing what a label should do anyway. It took me one year of research – that time there was no internet – I went to libraries, talked to other artists, took some night-jobs to gain time during the day to build up the label and one year later I released my first album. 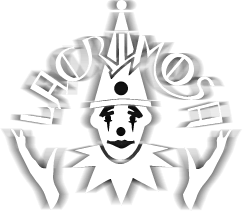 Nowadays – besides the double amount of work – I am so very happy about this effort because Lacrimosa wouldn’t have been this band if there would have been managers and office people from record companies talking into the music! Jase/RR: Most of your lyrics are written in German, though you always have a song or two on each album that is in English. What made you decide to include the English songs on the albums? 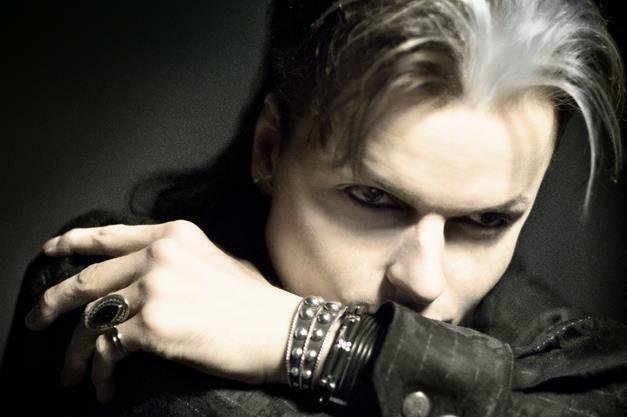 Tilo Wolff: This was because of the song “Copycat” from the album Inferno. I had this anger in me and wanted to spit it out pure and direct. The German language is kind of poetic and you can describe many things in a very beautiful way with this language, and eventhough it might sound hard for many people, it is no straight language, therefore I wrote these lyrics in English. It felt better and ever since I enjoyed switching the languages. Regardless of what language it is, it will always be delivered via that universal language of music. We would like to thank Tilo for giving us a moment of his time. Revolution peaked at 35 on the German album charts, and is definitely something to keep in mind to expand your musical palette. Copycat is not from Fassade, is from Inferno. We will speak with their publicists, as this was done completely via email, answers submitted by the artist. We will correct and address with their publicist. Thank you for bringing this to our attention.